Drum roll please for our big announcement… we’ve got an exciting murder mystery weekend in County Durham planned for you. We’ve teamed up with the lovely Whitworth Hall Hotel, near Spennymoor, to bring you our first weekend packed full of mystery, intrigue and one or two murders all in the name of a fun weekend away. Our guests at our evening events tell us how much they enjoy the interaction with our shady suspects and they’ve asked for more time to spend with them and that’s what you’ll get with our murder mystery weekend. More time to quiz the suspects, more time to get to know them, more time to work out what has happened, unravel the motives and get to the bottom of the crime. You’ll be able to catch them away from anyone else and ask that all important question that will lead you to the heart of the case. We’ve got an all-new plot written just for the weekend. Whitworth Hall will be turned into the home of the wealthy Worth family. 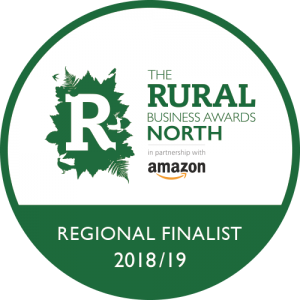 As always, we’re drawing you into the story – you are the distant relatives of the Worth family and shareholders in the Worth Sweets empire but with the death of Whittaker Worth, the founder of the empire, the family are gathering to decide whether to sell the business for millions. But while they squabble over what should happen to the business we’ll throw in some surprises, a murder or two and even a crime scene to investigate. 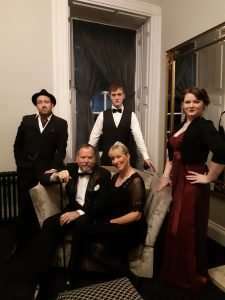 Our murder mystery weekend takes place from Friday May 17th from 6.30pm starting with a drinks reception, and ends on Sunday May 19th mid-morning. 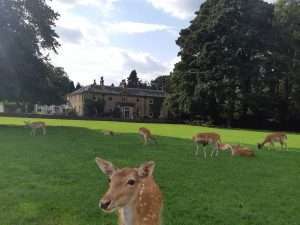 On Saturday you can step out into the deer park at Whitworth Hall and feed the deer, catch some of the suspects on their own, spot goings on that perhaps no one else will see or turn CSI and investigate a crime scene. Alternatively, you can take a break from all the sleuthing and head out to explore the area before returning for dinner and yet more murder mystery fun. By Sunday morning you’ll have decided who you think is the killer among you and you’ll have the chance for final questions before our detective will reveal whodunnit. But will you be our Top Detectives who win the prize? Our murder mystery weekend in County Durham includes two nights dinner, bed and breakfast at Whitworth Hall and our packed entertainment. 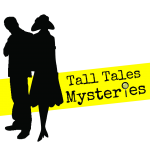 If you want to find out more just call Sara on 07833 715504 or email sara@talltalesmysteries.com or you can make sure of your place by booking now online here. We’re keeping places limited for our first murder mystery weekend to make sure you have the best murder mystery experience possible so don’t miss out!